This article is a sum up of a workshop entitled “The Scramble for New Media”. This workshop occurred the 3rd of March during the Seedstar Summit. Four managers in media companies gave their point of view and advices on different aspects of innovation in developed and emerging countries. 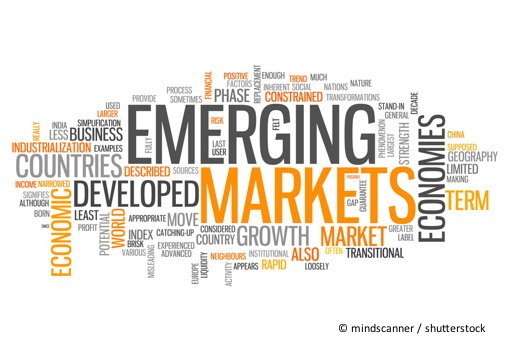 During the last couple of years, many different states and companies started investing in emerging markets as they recently opened or were not enough exploited. But what is the current role of media companies in these initiatives? Media channels have the power to influence and their activities are needed in emerging countries. Indeed, media channel ought to communicate the mindset that could lead to innovation efforts. Innovation has its importance in developed countries: what was profitable today isn’t today anymore, or could suddenly become unprofitable in just a few years. We can observe a trade off in emerging countries between choosing to innovate, or to copy what works well in developed industries. However, “investing” turns out to have a slightly different outcome in emerging countries when compared to Europe or the US. 5 million can be raised much more easily in the USA than in Brazil or in Turkey. In order to get funding in emerging countries, a great idea is not sufficient: showing profitability and a realistic financial model are some of the conditions to succeed. Therefore, there is still a clear lack of funds in emerging countries even though they are undoubtedly creating some kind of innovation park. Some projects can lead to failure if investing companies do not consider some parameters beforehand. Habits often differs from a country to another and it is therefore essential for the investor to get to learn and understand the emerging market it is targeting. For example, most households in the Middle East host two or three generations and own only one PC for the whole family. The access to the internet is thus limited. Focusing on app-based systems, or on web-based systems compatible with smartphones would therefore be a smarter move since the phone seems to be the first way to access the internet in that part of the world. Innovation is the concept behind start-ups. Unfortunately it is hard to create a start-up with only a great idea and no external funding. Here are some tips when you are looking for funds as a startup. We learned during the workshop that start-ups could fail due to a wrong choice of investors. As an entrepreneur, you need to know what the investors’ motives are and whether your aims match with theirs. Will they help you achieve your goal or will they look at your venture only as a way to make money. Investors are not leaders, but partners with whom an entrepreneur should work. Be quick, be fair, be transparent, and keep your investors up to date. If you need to ask them for money, don’t be shy, investors do like ambitious entrepreneurs. If you cannot convince any investor to invest in your business or if you want to remain independent, crowdfunding can be the solution to raise funds. Crowdfunding is a good option when there is no need for you to do any market research and when you have a concrete product ready to sell or to be used (it could be a physical object, an app, a website…). Now, what about the transatlantic differences? Business models completely differ between Europe and the USA. The USA has its culture and language; Europe is a conglomerate of countries with the diversity that comes along. There are consequently many more aspects to deal with when building a business in Europe. Thus, if you build something solid in Europe, you can easily export it to the Land of Freedom, while the opposite is often much more complicated.